On Christmas Eve the Archbishop of Brisbane signed the decree to formally establish the Brisbane Oratory in Formation. The scaffolding has now been removed from the Southern side of Mary Immaculate church, which means the ramp is now in use again for those with limited mobility. 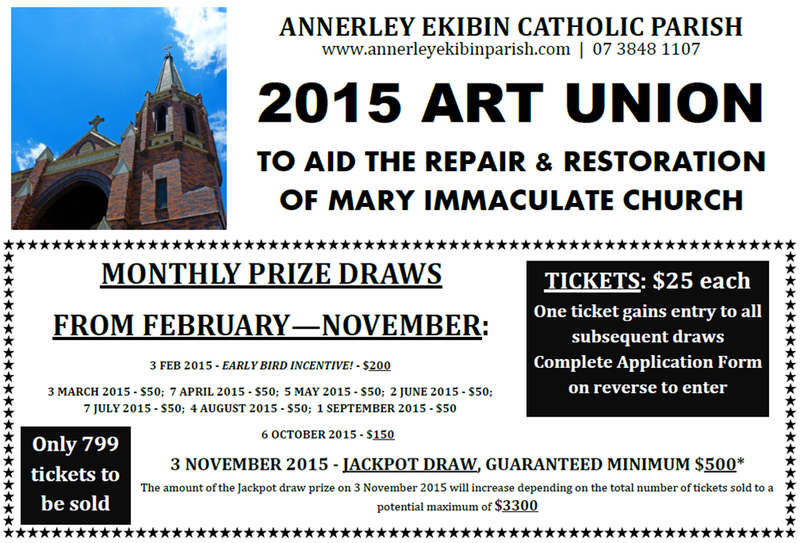 The Parish’s 2015 Minor Art Union is now open!